Trailer Tray (Model CC-255) - Stromberg Carlson Products Inc. The first trailer tongue cargo carrying system! 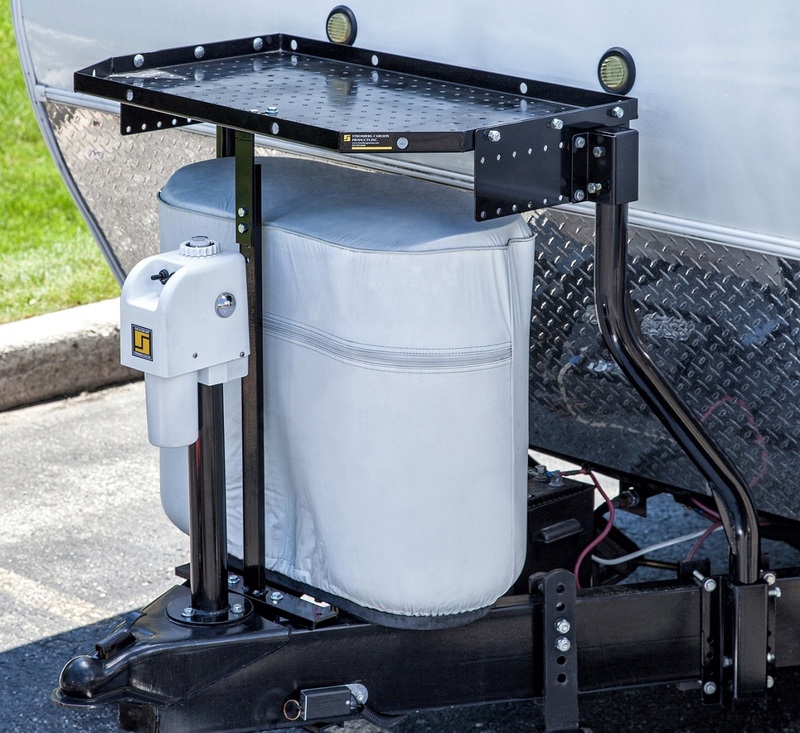 Adjustable to fit most “A” frame trailers on the road today; this tray provides additional storage in the softest riding area of your trailer. Your application will be determined by tow vehicle turning radius and positioning of the tray. Supports up to 300 lbs. Use it for generators, coolers, compressors, welders, wood boxes and much more! Appx. 30-5/8” from top of A-frame to top of tray. Appx. 29-1/2” from top of A-frame to bottom of tray. 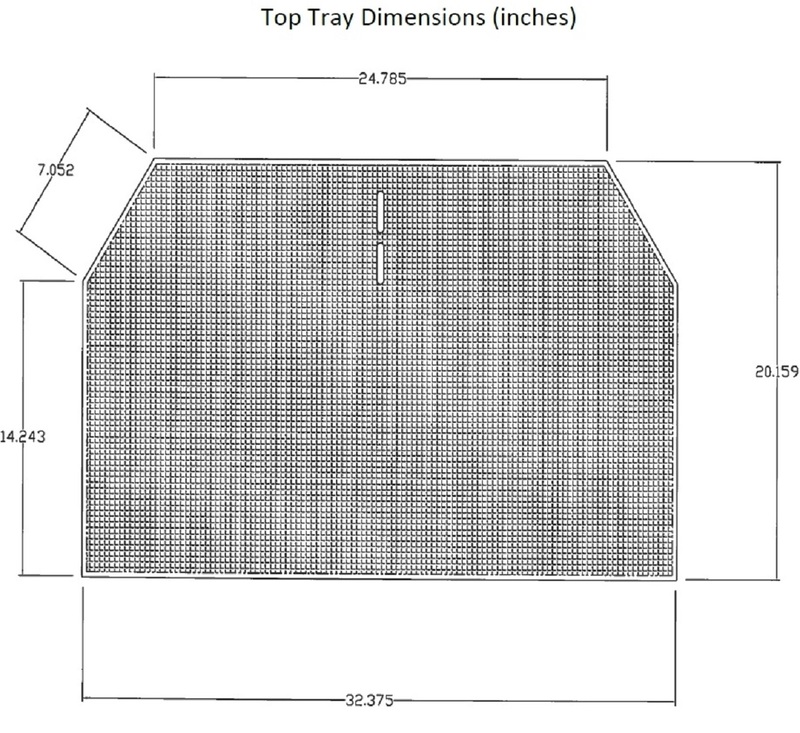 This distance is designed to accommodate up to a 30 lb standard LP tank. Due to bent design on vertical tubes, tray brackets can be mounted on your A-frame at widths varying from 14″ to 55″ (Note: you may need to modify the front support plate to accommodate increased width mounting). Please note, if you have propane tanks installed at the intended tray location, one of three things can be done to allow you to remove your tanks for refill or to access valves without removing the tray. Replace your existing tank cover with a soft vinyl cover which will allow you to access your LP valves or remove LP tanks without having to remove the tray. Replace your existing tank cover with a hard plastic cover with a flip top to access your LP valves. You will still need to remove the tray to remove cover and refill LP tanks. The CC-255 ships complete with all components and hardware. 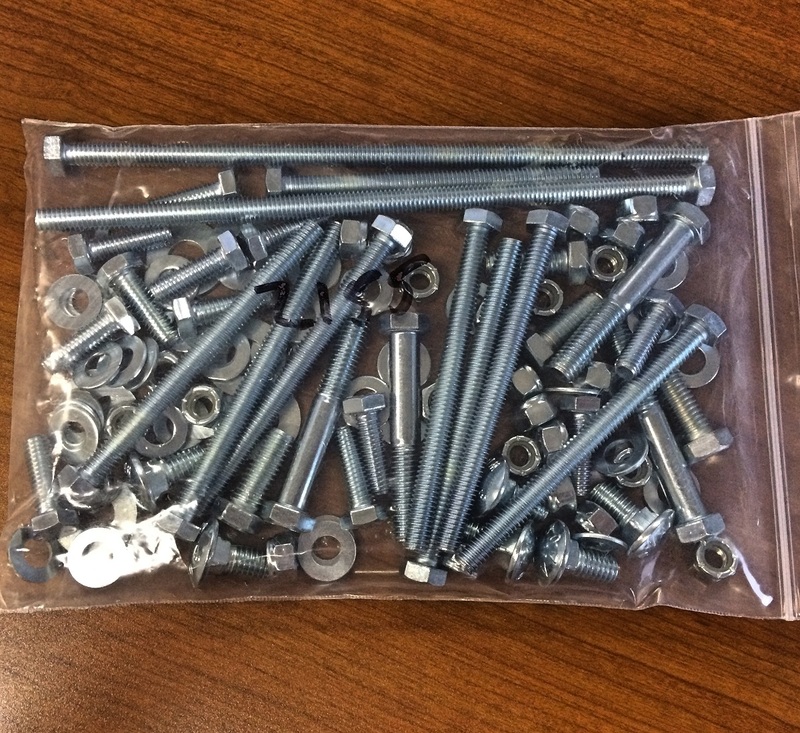 However, if you need to replace your nut and bolt hardware, you can do so by adding the below to your cart.